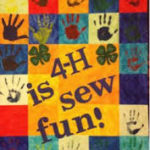 It’s time to move on to another school year, and with that comes new 4-H offerings! We are trying a different program format this fall. Utilizing a CLUB approach will allow youth to build on the skills they are learning. There will be five different clubs that meet once a month. All clubs will meet at the N.C. Cooperative Extension, Polk County Center at 79 Carmel Lane, Columbus, NC. Scholarship money is available. Have questions about any of the offerings below? Call our office at 828-894-8218 or email Helen Blackwell at helen_clark@ncsu.edu. 2nd Tuesday of the month (Sept-Dec) 3:30-5:00 p.m.
Each month we will work on a new sewing project. 3rd Tuesday of the month (Sept-Dec) 3:30-5 p.m. Learn to cook seasonal items! 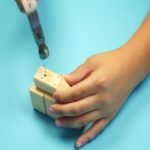 4th Monday of the month (Sept-Dec) 3:30-5 p.m.
Come hang out and learn how to utilize different woodworking tools and make some cool projects. 3rd Wednesday of the month (Sept-Dec) 3:30-5 p.m. 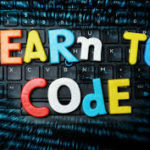 Youth will start with block-based coding and then gradually move into Python and HTML. 2nd Thursday of the month (Oct-Dec) 3:30-5 p.m.